Your weeks always make mine sound so lazy! You are an amazing runner and my inspiration when I am tired. Haha… Your weeks are anything but lazy!! 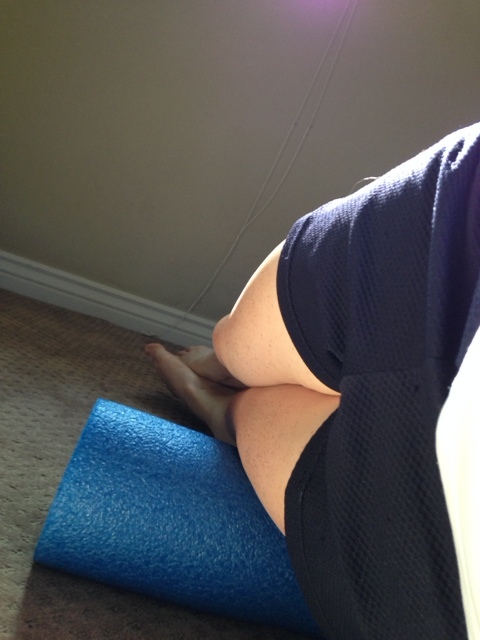 Yea for getting your foam roller back! Way to go preparing for the downhill. I am sure your quads will appreciate it race day. Thank you, you just inspired me to hit the gym for some strength training today! I was doing it 4 times a week while I was injured, but now that I can actually run, I’ve bumped it down to 2 days a week… but I want it to be 3 days! So anyway, thanks for motivating! 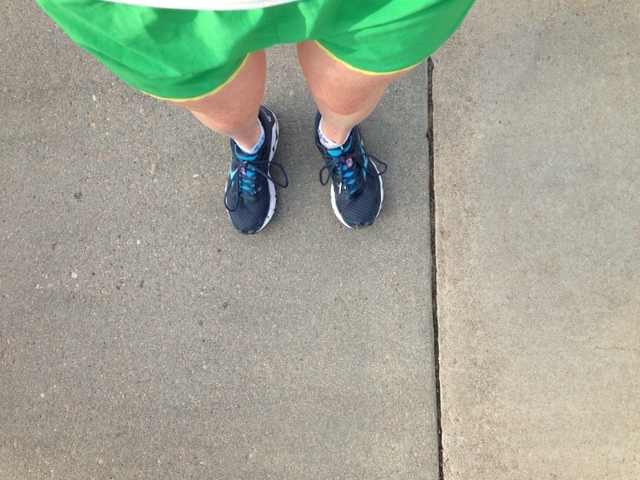 I’ve found that when I’m marathon training, 2 days is just so much more manageable for me. I always think I’ll do 3 days, but…no. I’m glad you were motivated! I’m glad I’m not the only one who takes plank pictures to entertain myself. 🙂 I hope you’re having fun in California! Great week! I confess to not planking because I don’t do well when I start getting bored. 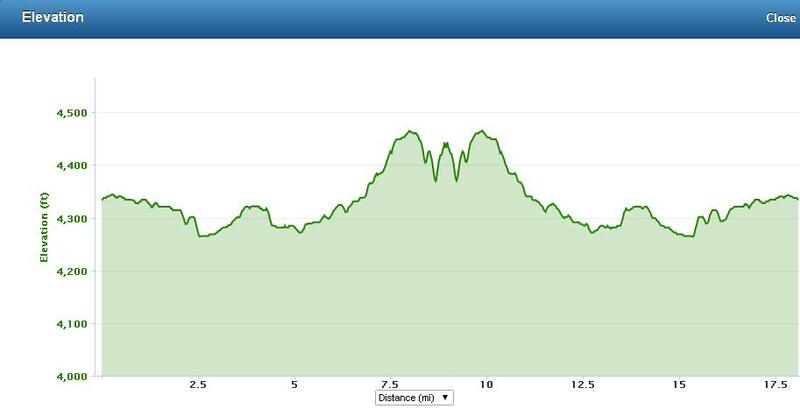 Looks like a pretty hilly long run to me, I like hilly long runs too, I think they really help. 18 miles is getting your mojo back? You are amazing! My school goes back on July 29. That is way too soon! Whoa… that is crazy early! And didn’t you just get out a couple of weeks ago? Is there a reason you only watch 30 minutes of Bachelorette at a time? Too much to handle? 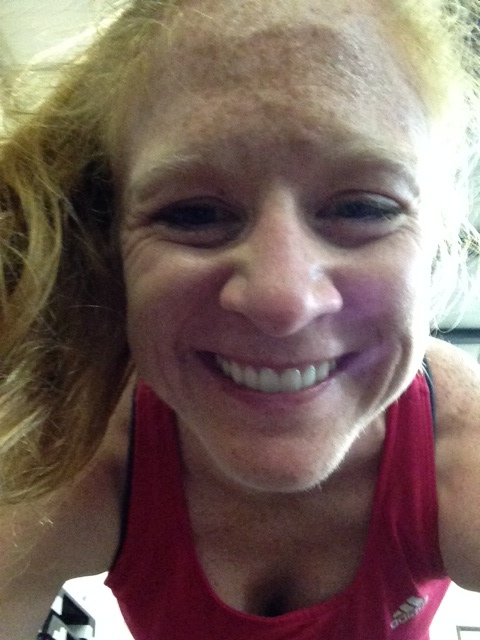 😉 I can’t believe you are running ~60 miles in your second week of training! Crazy crazy crazy. So now that you have two and a half months until school starts again, what are you going to do with all of your free time aside from train? I am always curious what other teachers do during their breaks! I am still a bit sore from the marathon but now I want to go for a good long run and workout after this post! I am sTILL not on summer vacation. Less than 2 weeks!! !